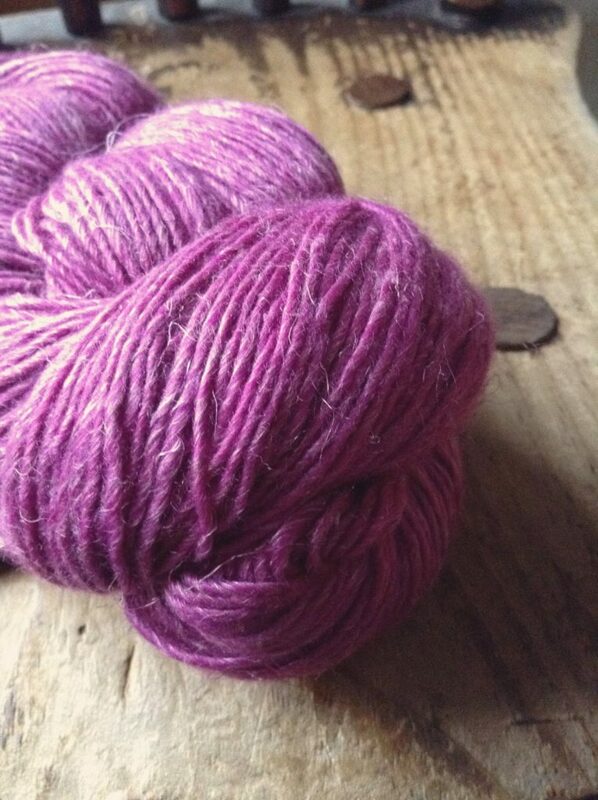 a linen blend yarn that pulls off such a striking halo. any halo whatsoever until now. the merino’s take on the color? that tonality gives extra visual depth to each and every stitch. 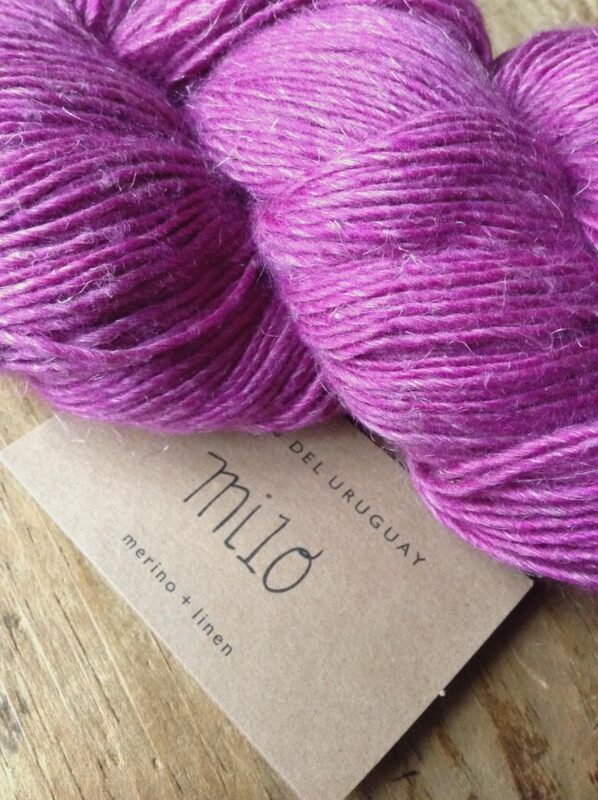 this new yarn from manos del uruguay. that we knitter’s thrive on. ‘twisted’ take from 26:31 of exodus. note: now for just a little of the nitty-gritty. isn’t ever going to make me say i like what i don’t. This entry was posted in Notions and tagged linen, manos, manos del uruguay, merino, milo, yarn by Talitha. Bookmark the permalink. It’s very pretty! I’ve not worked with linen yet. 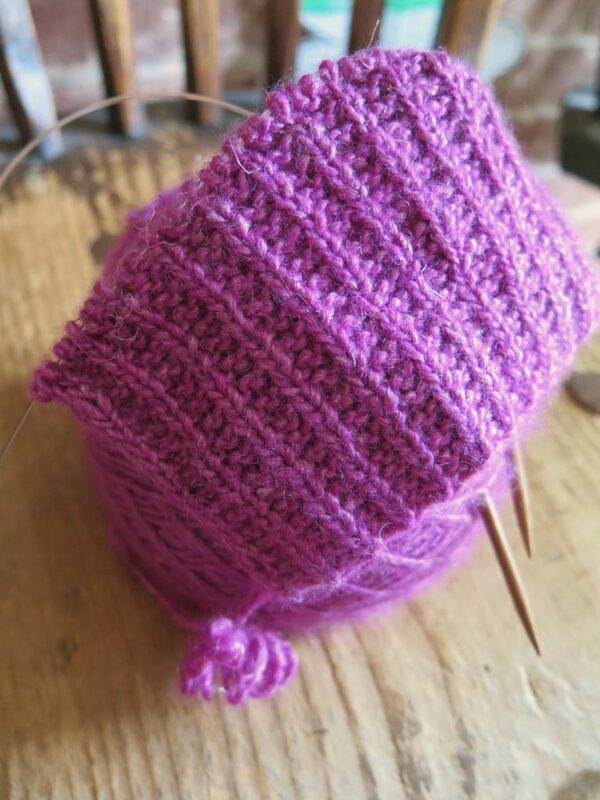 What does this yarn feel like to knit up? linen can be crisp, and that can cause it to be a bit awkward to knit with, but the merino in this blend softens things up. i’m not sure, honestly, that i would have known it was linen except that i read the label. i really liked the feel of it in my hands. hello, wendy. thanks for stopping by!